By the late forties and early fifties there weren't as many Jewish youngsters entering organized crime as before. So Lansky relied less on underworld muscle (which brought heat and attention anyway) and more on political, legal and financial connections, upperworld muscle and the age old method of setting enemies against each other. The best example of this last method occurred in 1956-57 when Albert Anastasia, boss of an Italian-American Brooklyn Crime Family (and someone who had personally murdered or ordered more murders than any other boss) started making ominous noises about being shut out of the Havana casino/hotel racket. To keep the peace Lansky and his partners arranged for Anastasia to get a small piece of the pie. When that wasn't enough and Anastasia, nicknamed "The Lord High Executioner", continued to squawk, Lanksy gave a nod to a plot by Anastasia rival Vito Genovese to have Anastasia murdered for entirely different reasons. That Lanksy and the openly anti-Semitic Genovese hated each other did not prevent the pragmatic Lansky from doing what was necessary to protect his Cuban business. After Anastasia's death, Lanksy endorsed a successful plan to set up Genovese for drug dealing. Lanksy got away with this flip-flopping because for years he was the guarantor of Cuban profits. 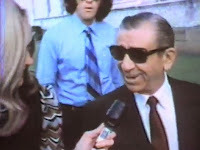 With the possible exception of sometime partner, sometime rival Santo Trafficante, no other organized crime boss was as deeply connected to Cuba as Lansky. 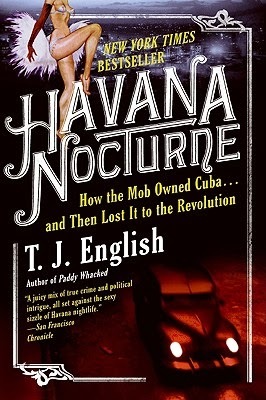 The book gives a broad overview of what Cuba meant to American tourists and gamblers, whether it was the relative innocent wishes to gamble or see a nightclub show or the sordid desires for prostitution of all kinds (interracial, underage, homosexual), narcotics, or other more outre wants. People like Senator JFK and Frank Sinatra allegedly had orgies with Cuban strippers and prostitutes. In something that became a pattern, Sinatra hung out and partied with various gangsters from across the US. Cuban music, dance and style became an integral part of American culture in several different ways. Famous actresses and strippers rubbed shoulders in Havana. Havana was a paradise for Americans with money. Havana Nocture is based in part on interviews with former drivers, lovers or bodyguards for some of the big names mentioned as well as some other primary sources. Batista's increasing repression of his own people meant nothing to Lansky or his brethren. Batista was well paid by them and had a small slice of their profits. By the late fifties Lanksy and company were convinced that (a) no revolution would be successful, (b) that they could buy off the leaders if it did succeed or (c) that failing that the US would invade and put the "right" people back in charge. It was a great shock to them all and especially Lansky when none of this happened. Lansky had gone all in on Cuba and never quite recovered financially from the loss. If you like a ground's up view of history combined with a droll analysis of some larger scale events you may enjoy this book. Although Cuba did not inspire the first partnership of organized crime interests and elements of the United States government, the attempt to retake Cuba solidified that alliance and may have led to other dirty deeds across the world. Lansky alone offered one million dollars for Castro's murder and he was hardly the only mob figure so inclined. 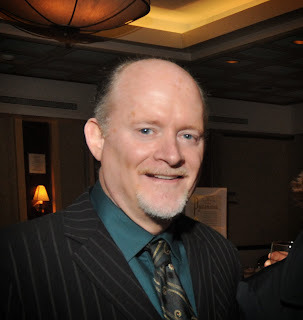 There are some writers or other creative or successful people, who, being related to other famous people in the same field, decide to use a different name for their own work, not because they dislike their relatives, but because they want the world to accept or reject their work on its own merits. Joe Hill is such a man, being the son of two writers. He's dedicated this work to his mother. His mother is Tabitha King, a Maine novelist, and you certainly know his father. 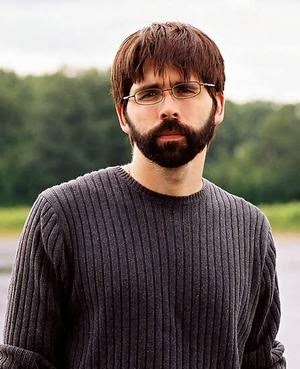 FWIW, Joe Hill is his actual name. It's just that he's not using his surname professionally. Having read this work, I'm really looking forward to reading his new novel NOS4A2, sometime in the near future, hopefully in the next few months. Locke and Key is a graphic novel so obviously it's pretty quick reading. But if you think that means it's simple reading, guess again. Like the best work in this genre the art and the story feed off each other and intertwine to the point that you can't imagine one without the other. My brother is the comic book/graphic novel enthusiast, not me, so it's not surprising that I'm just now discovering this. Still, better late than never I guess. 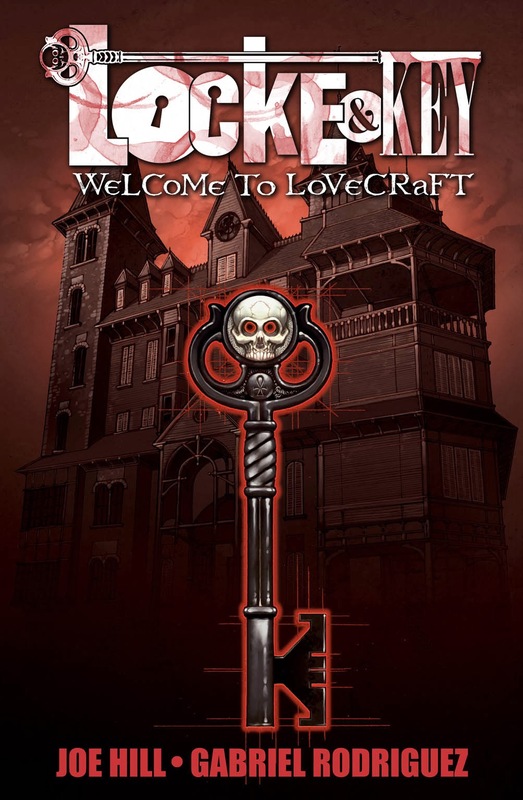 Locke and Key mixes together everyday horror with a supernatural threat that becomes immediately evident to the reader though obviously not to the characters. Is there a loved one in your life who's now deceased? And before that person left let's say that you and them weren't on the best of terms for reasons that now seem silly. So there's nothing left but regret for the rest of your life whenever you think of them. That's a quiet horror right there. This graphic novel examines that. Locke and Key also shows that kids can still see things that adults have forgotten or become willingly blind to seeing. In California, a mostly happy family is torn apart when tragedy strikes. A sociopathic high school student named Sam Lessner and his friend Al Grubb perform a home invasion on the vacation cottage of Rendell Locke and his wife Nina. The Lockes' children Tyler, Kinsey and Bode are away from the home but on the property when this happens. Sam murders Rendell Locke while Al rapes Nina Locke. When the children hear the shot they run to the home but then have to hide from Sam who intends to kill them all. As Bode and his older sister Kinsey hide, the husky Tyler is able to disarm and beat down Sam while Nina brains Al with an axe, killing him. After the funeral Nina moves the family cross-country to the Lovecraft Massachusetts Locke ancestral home, really more mansion, known as the Keyhouse. Unfortunately their trials have just begun. Tyler blames himself for his father's murder. Kinsey and Bode have trouble adapting to their new surroundings. Nina's previously quiescent drinking problem has returned in spades. And Sam is not dead, only in juvie. He intends to get out. And he may have help. 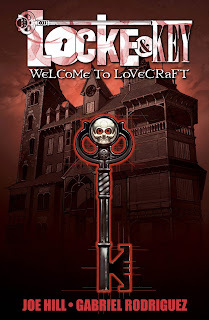 There's something locked in the Keyhouse, something which has plans that don't mean well for any of the Lockes. There are also keys of great power in the home which Tyler, Kinsey and Bode will be able to use to defend themselves. This was as I mentioned, very quick reading but fun. You won't be able to put the books down because you want to see what happens next.